"It’s not just new winter coats you’re seeing this fall hit store shelves. 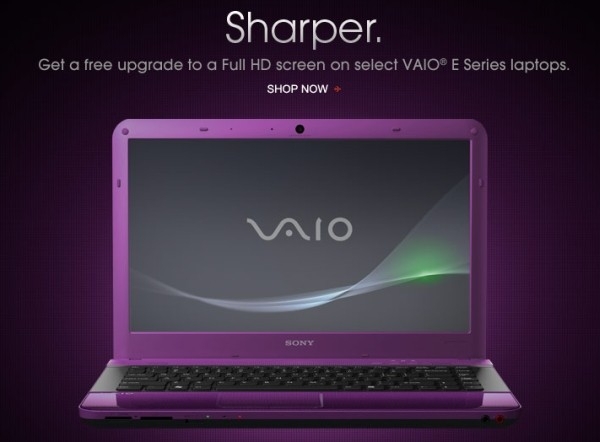 Today, the Sony VAIO® division has released a variety of updated models in preparation of this holiday season. Available today on SonyStyle.com, this fall’s update reveals not only new CPU options but a few other enhancements." The Vaio E series sees new color options, screen sizes, and processor upgrades. The F series snags some USB 3.0 goodness along with an upgraded processor and graphics card. Finally, the L series sees the return of Blu-ray. If you are a fan of Sony's hardware, be sure to check out their latest offerings.